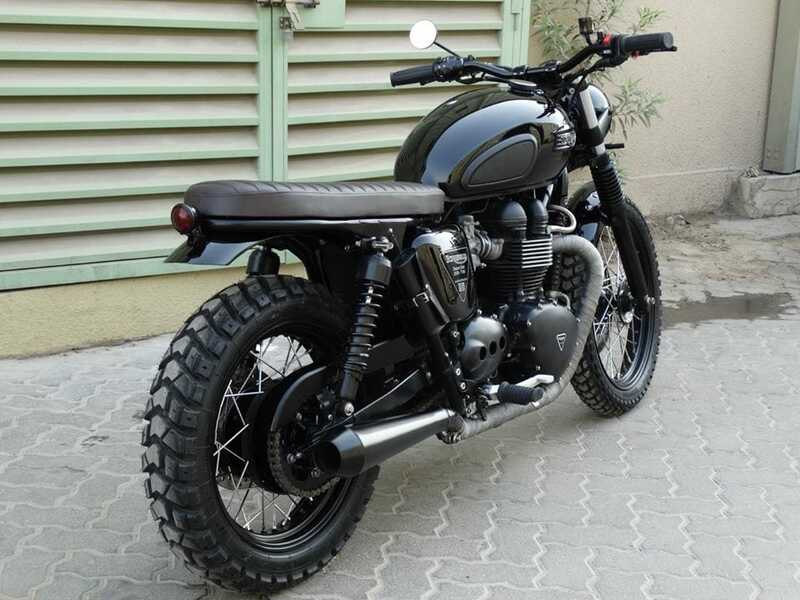 A few years ago Bonnefication featured Del Gasan’s 2009 Triumph T100 Cafe Racer. 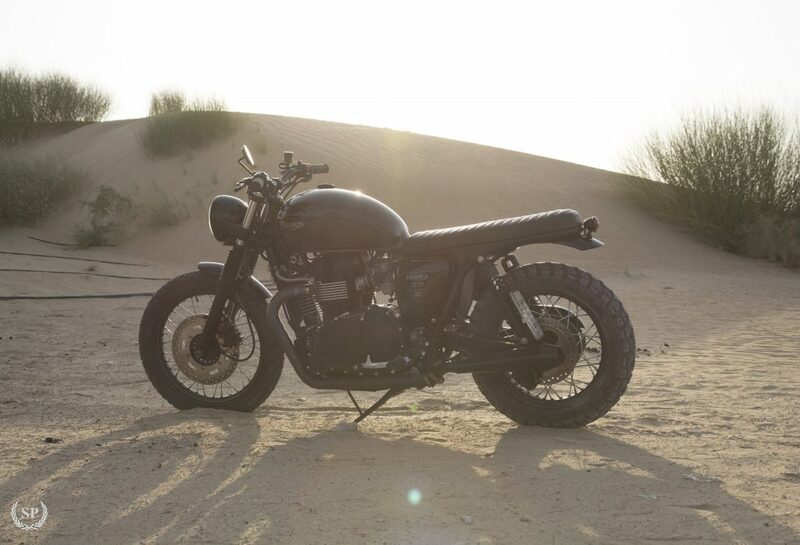 A Twin sporting parts from Dime City Cycles, British Customs and K&N – a pretty typical shed built Triumph. Two years is a long time when you have the ‘modification itch’, and Del wanted a new look for his Twin. But what can be done with an outdated build? 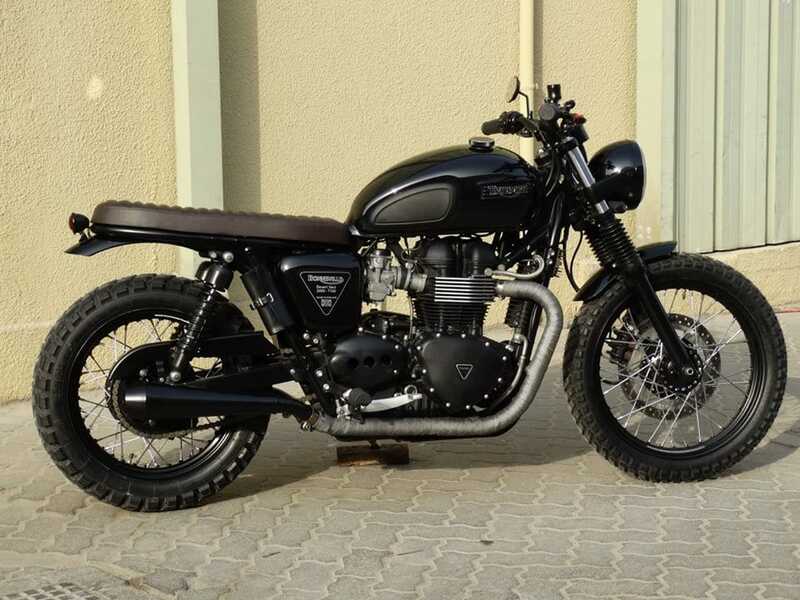 – many sell and move on, but have you ever tried selling a second hand custom?…. meh! Don’t let some tight ungrateful sod buy your 10k custom for 5k!. The better option is to start again, sell the bits no longer needed, and turn your ‘Dream Bike‘ into the ‘Bike Of Your Dreams 2’. 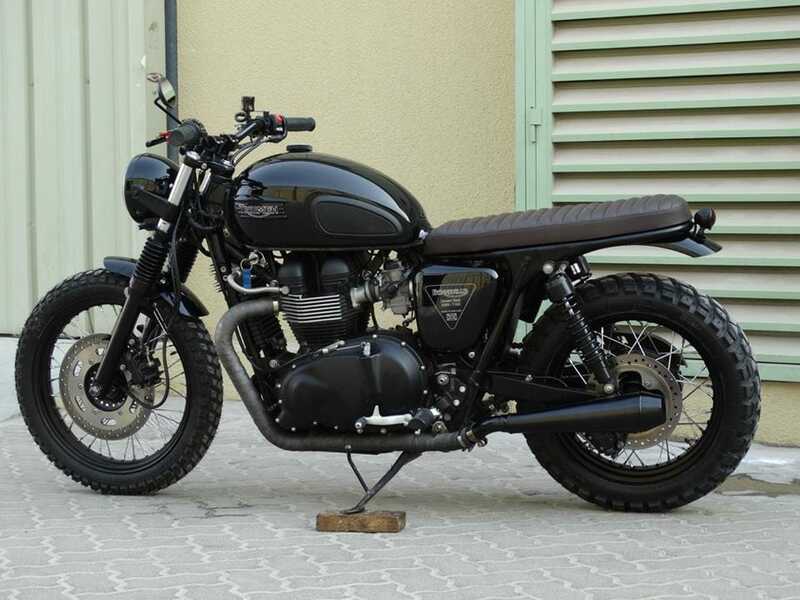 Something which Del Gasan chose to do with his Triumph. 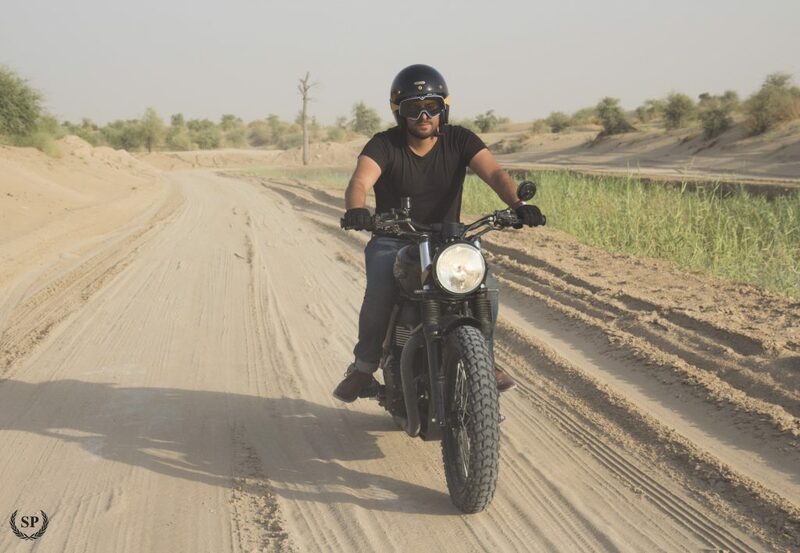 Del who lives in Dubai has become a recognisable figure after starting the international custom bike community Cafe Racers Middle East (C.R.M.E). A platform for those living in the region to share ideas, ask about parts, showcase builds and share experiences. 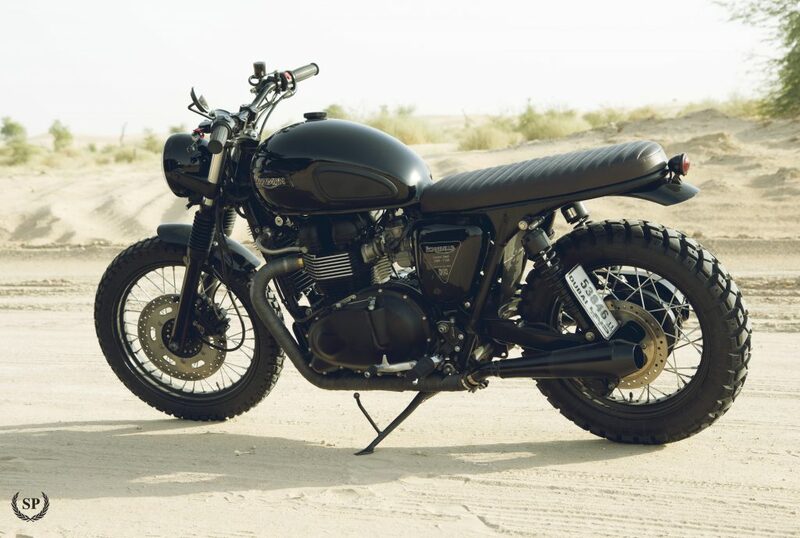 This community of liked minded motorcycle enthusiast made Del plenty of friends and importantly contacts, one contact was the talented chaps at Sebsports, who Del tasked with transforming his Cafe Racer into a ‘Racer’ far more appropriate to it’s surroundings. 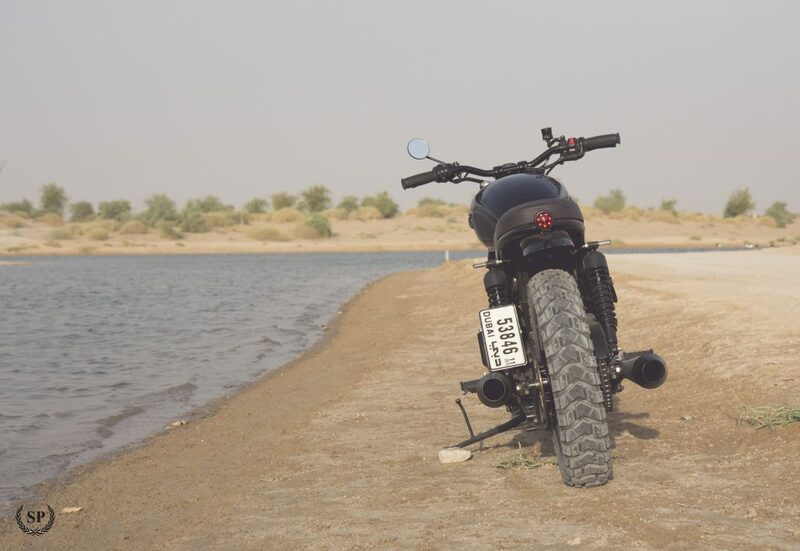 Sebsports stripped the T100 of it’s Cafe identity, and started anew. 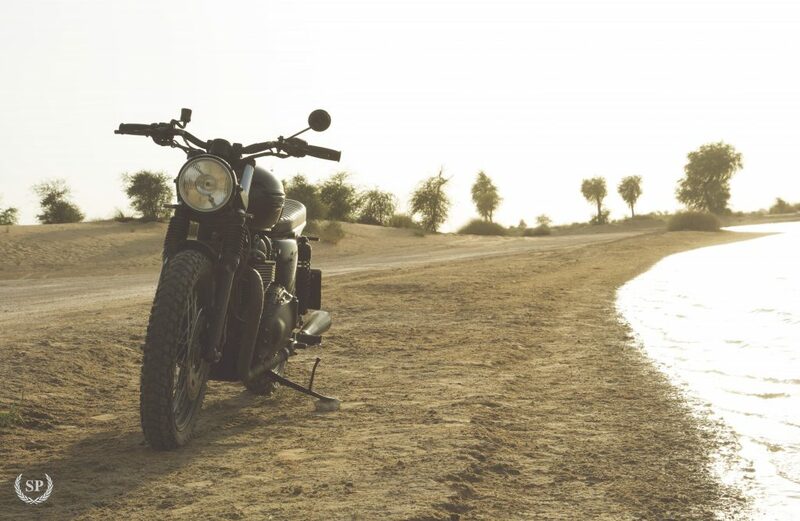 The T100 had already been chopped and fitted with a shorter seat and cowl, these were ditched, with a loop being fabricated and welded in, rounding off the back end. 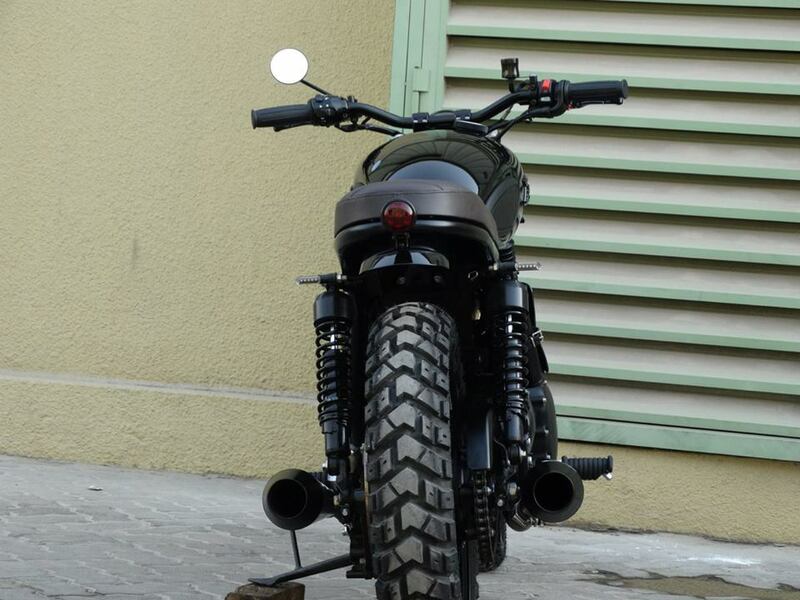 That new back-end was then fitted with a custom mudguard and the ubiquitous LED Bates style taillight. 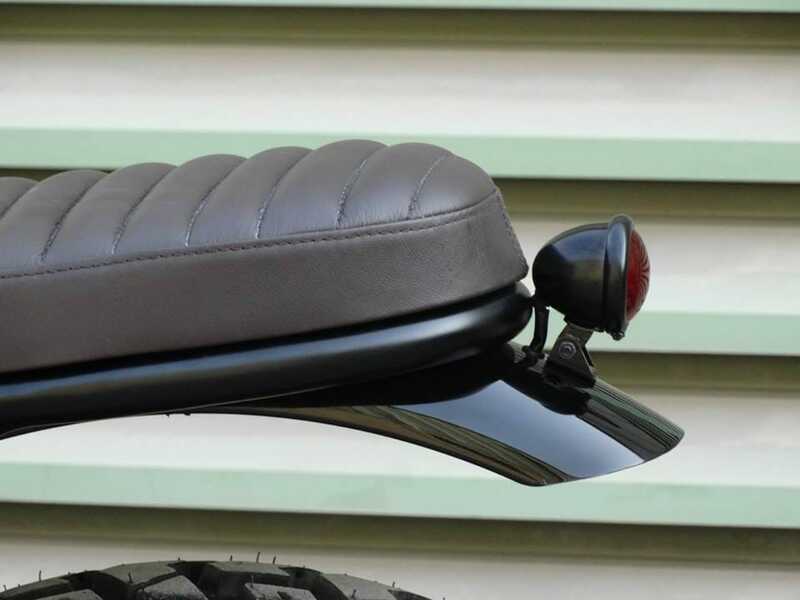 A new seat-base was was crafted and padded ‘Brat Style’ with dual density foam, padding which should make that super slim seat a little more comfortable – this was then covered in a chocolate brown leather. 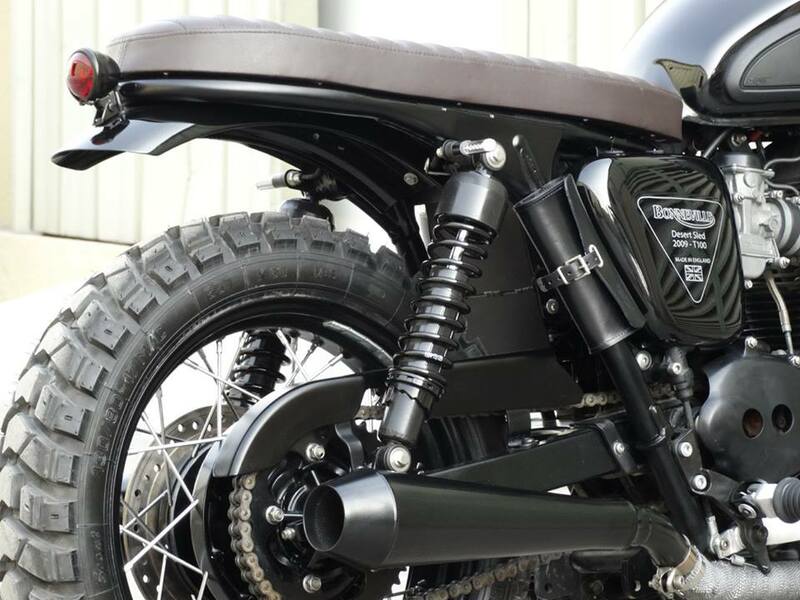 Wheels, chassis, frame and exhaust and just about anything else shiny including the Tank Badges, were either powder coated or painted in contrasting gloss or matte black to give the T100 a mean dark look. 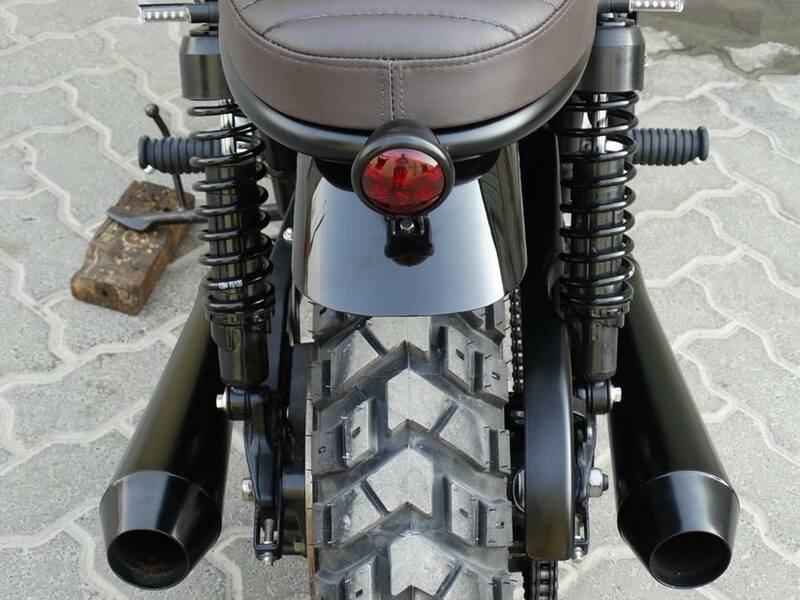 The petrol tank was already black, didn’t miss out, receiving a Motone Customs gas-cap and knee pads – with the now black wheels being shod with a set of theme changing Heidenau K60 Scout dual sport tyres. Up top the T100 was fitted with the popular XS650 style mini speedo, which on this occasion came from the Dime City Cycles catalogue, along with a set of their reverse megaphones end cans, fitted to stock wrapped headers. 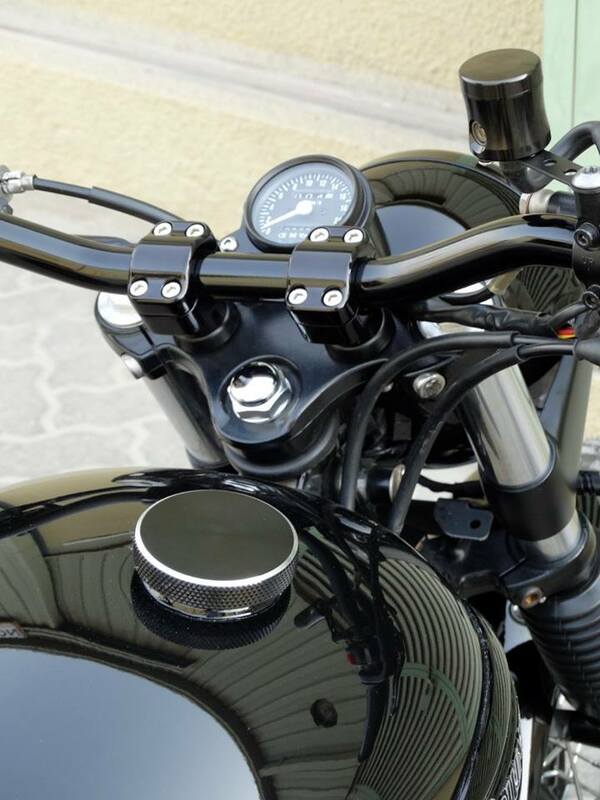 The handlebars are the 1″ Biltwell Tracker bar (Biltwell also make a very nice 1″ braced MX bar) fitted with a set of Lowbrow Custom’s grips, JPS leavers, topped-off with a British customs mini brake reservoir. 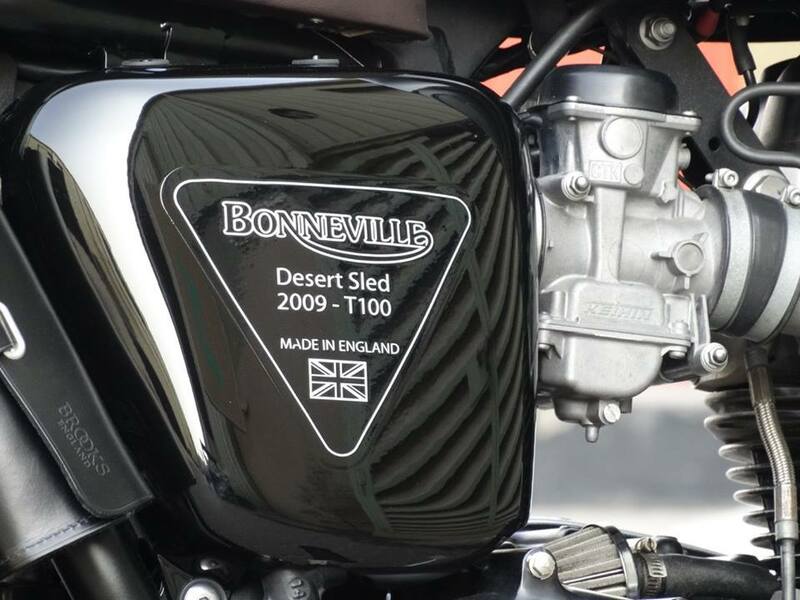 Finishing touches include a Brooks England bag fitted to the high side, next to which are stock side panels, which have been adorned with custom graphics, proudly announcing that this is a ‘2009 Triumph Bonneville Desert Sled‘ . Graphics which will come in handy when the T100 is parked-up and it gets the obligatory gawkers asking questions. As this is a rebuild, many parts from the bike previous incarnation were retained, including; British Customs ARK (airbag removal kit), those K&N’s and progressive suspension. Of course all the usual mentionable unmentionables (because they are nearly always fitted) including LED indicators and a Motone rectifier relocation bracket, attached to which is an ear piercing Denali sound bomb horn. 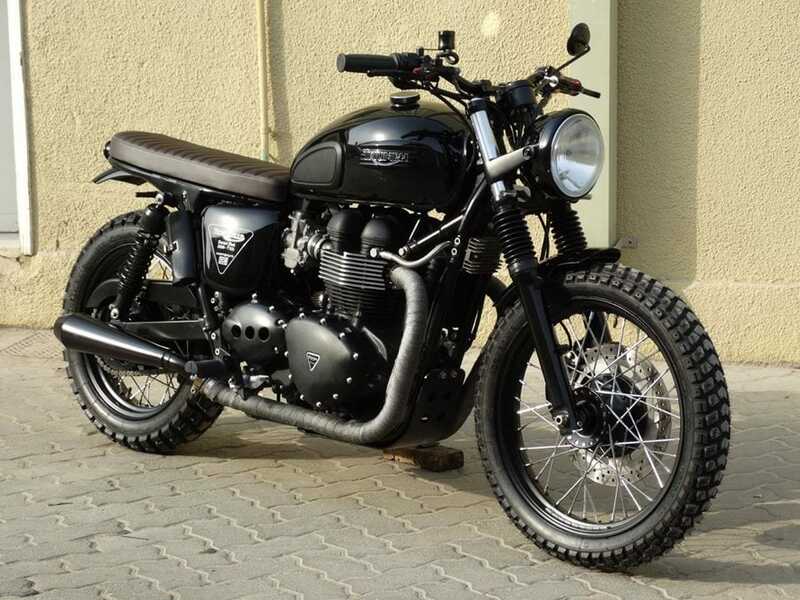 If your Triumph Twin is looking a bit dated, don’t sell it and make someones else happy, keep it and turn it into something that will get you heart racing again!